I’ve been traveling a lot recently in the car and have had plenty of time to listen to multiple types of media. The last few trips have found me listening to new music, audiobooks, and podcasts from favorite speakers, news and media outlets, and comedians. One of the more interesting podcasts I’ve been listening to on the road is entitled The Walking Deadcast. This podcast is related to The Walking Dead television show from the AMC channel. It’s a show about zombies. It’s also a show about humanity and forgiveness and survival. It also gave me an idea for upgrading curriculum maps. The Walking Dead originally was a popular comic book series that was turned into an also popular television show four years ago. There are times when the tv show writers have elaborated on a theme from the comics and times when they stick fairly closely to the written storyline, as they currently are in this season of the show. I’ve been interested in the show since it began, but am only now discovering the podcast. The show begins with their Aha! moments and then the sharing of their top 5 favorite moments from the previous show. They discuss thematic elements, analysis of observations, speculations on what may be coming next, and comparisons to previous shows or thematic elements. All of this is rooted in evidence rather than just opinion. Jason and Karen then look to the masses and share what people are saying through multiple social media platforms including Facebook, Twitter, Pinterest, Tumblr, and their own website. Some of this is fluff, but some of it has a direct bearing on either supporting what they discussed already or causing them to think in even more divergent ways. Again, they continually refer to evidence from the show to support or shift their thinking or the thinking of the interactors. The hosts then invite Comic Book experts Erik Feten and Gracie Lou to share how closely the filmed show aligns with the comic book. There is discussion about camera angles and analogous cells in the comic and how the film treatment of the comic, in general, was done. Before the end of the show, they share information from multiple news sources that specifically relate to the show, theories about what’s next, reactions to suspenseful events, and more. All of this information is curated by another collaborator, Jason Walker. Additionally, they’ve had actors and other folks from the show as guests to share their perspectives. They engage in metacognition that values evidence. The hosts of the show as well as the others that contribute are thoughtful about what they say. They continually go back to the show or the comic book to support their reasoning or the reasoning of others. They engage in deep analysis. The question the story arc and how the characters, settings, music, etc. all lead to the development of the plot. They notice and discuss (with evidence) themes and through lines that relate to both the current episode and the series as a whole. They delve into symbolism, patterns, perspectives, and more as they deconstruct the episode for deeper meaning and deeper discovery. They have created a research product. This podcast doesn’t look like a traditional research paper but it has all of the elements. Claims, counter-claims, evidence from multiple sources and people, all in a formatted and well-produced product. This was a collaborative act. The hosts worked together to provide the bulk of the podcast, but invited multiple people and additional media into the process and product. This represents an authentic product. I think what the podcast hosts did here represents an authentic product that students in classrooms today would be willing to both create and produce but also be engaged enough to learn at high levels the skills that would be necessary to succeed in the world they will graduate into. What if this is a new product that takes the place of something traditionally ensconced in today’s classrooms? What if this becomes a valid assessment of learning? What if this was the expectation of the creation of performance tasks that allow for true integration and student responsibility? 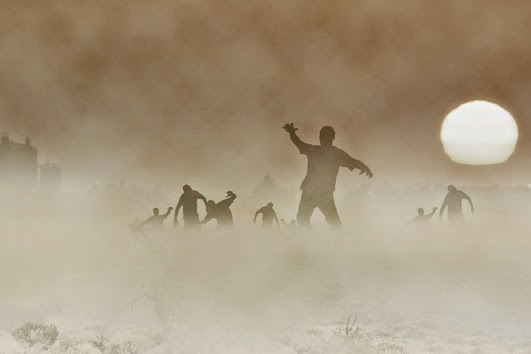 What if wasn’t just about zombies? While this blog is specifically aimed at a Halloween audience, there are many podcasts out in the Internet ether to satisfy anyone’s interests. Students could potentially research and podcast just about anything, engaging in many of the transferable skills that we expect them to be proficient in. This podcast was audio only and so I see immediate upgrades to video as well as the production of a series podcasts that demonstrate learning versus more traditional and potentially less engaging demonstrations. I’m not saying ditch the research papers, I’m saying think about the skills you expect your students to have and be innovative about the actual product that they create. Let them contribute to the design of the product and increase their level of vested interest in what they are producing. If that product happens to include zombies, then I think that’s awesome. Keeping curriculum maps living, breathing documents is work. (Much like keeping the humans alive and breathing on The Walking Dead.) 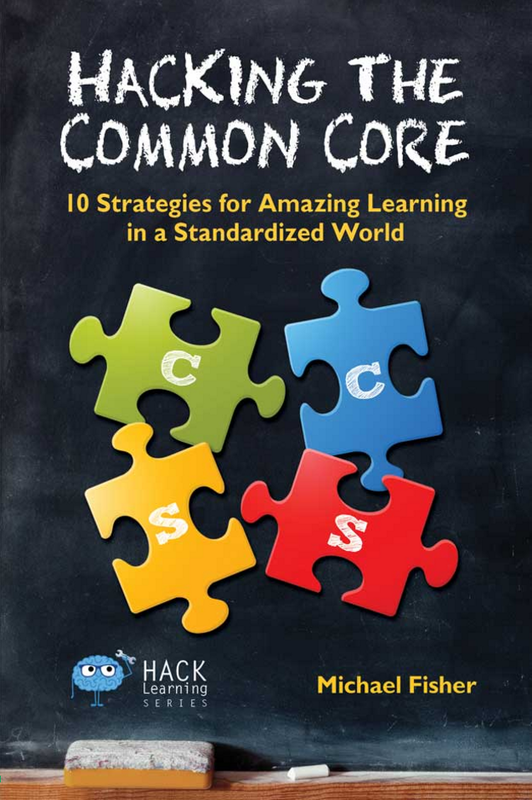 Advancing this work is a constant act of rethinking assessments, methodology, and other instructional actions based on multiple lenses that include new standards, newly available resources, new technologies, and certainly, new students from year to year. Innovation and engagement matter a whole lot with today’s students. 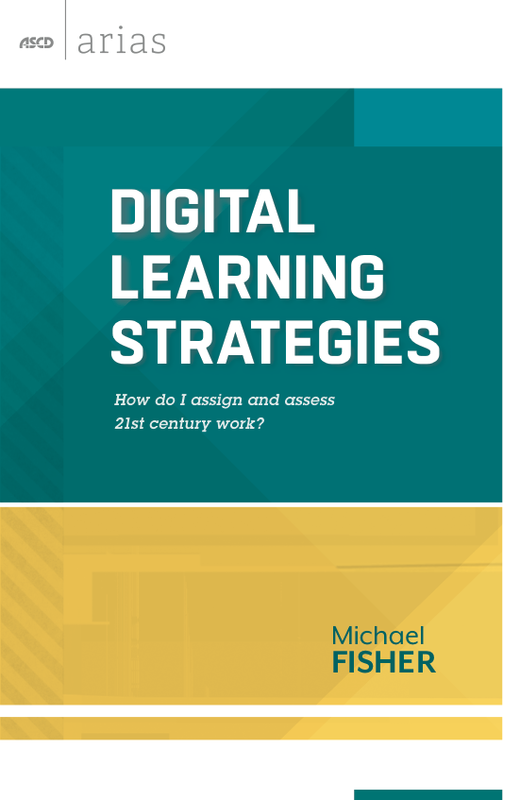 Being willing to upgrade, or perhaps abandon, traditional strongholds in methodology and/or assessments is a step in the right direction toward modern curriculum design. You can either subscribe and get the casts on your device or you can listen to a downloadable mp3 right on your computer. I used to sit in workshops that were peripherally, if at all, related to my professional practice. I’d spend hours in a physical face-to-face workshop and leave with maybe one or two ideas that mattered to me. I may or may not have acted on those ideas dependent on how stressed the workshop left me, knowing that I had classroom responsibilities that superseded what some suit was telling me about what should matter. It was a broken but ensconced system for growing professionally that ignored the fact that there were things that personally mattered to me and the students I taught. I wasn’t asked if the PD interested me; I was just told to go. I received my initial teaching certificate in 1998, a time when I was well aware of the information the internet had to offer. 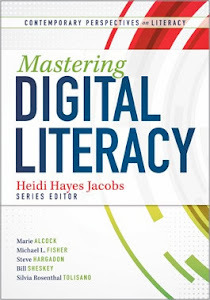 As I started following educators across the myriad social networks I participated in (first with listservs and physical chat rooms), I learned quickly that scheduled and barely relevant PD was too long of a wait to get vital, transformational information. Unlike traditional and months-in-advance-planned face-to-face professional development, being a connected educator has afforded me “just in time” learning opportunities 24 hours a day, 7 days a week. This was even before the popular social networks were entrenched in the fabric of today’s PD landscape. I’ve known for more than a decade the value of socio-technological engagement. No workshop I can attend now is more valuable or offers me more perspective than my online digital professional learning network (DPLN). I’d like to clarify that what I’m writing about is not necessarily about technologies per se, but about what we’re doing with the technology that matters. I am laser-focused on my objective: How can I grow professionally with a cadre of peers that “gets” what I’m seeking to master? To continue reading this post and to see the 3 things educators should consider when deciding to participate in connected PD, please view the full post on TeachThought. Close reading is not a thing. It is not a skill. It is not a big idea. It is not new. 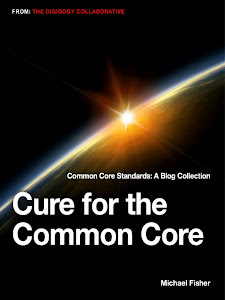 It is an iteration of New Criticism in a new Common Core chrysalis. The caterpillar—traditional literary lenses, among them Formalist criticisms, Reader-Response criticisms, and, perhaps, Structuralism—went through a transformation and have emerged as a new butterfly of comprehension and evidence. Reading closely then is the magnifierto ensure the suite of four related skills in this standard are achieved. In other words, close reading serves as a magnifying glass strategy. If we want to dive into a specific portion of text (or comparison of texts) with a purpose, everything that is viewed through the magnifying glass deepens students’ development of the entire anchor standard’s learning expectation. Using the magnifying glass is not a skill to be learned, it is simply a tool to amplify this standards’ priorities. Consider this: the anchor standard is the ONLY place that the phrase “read closely” is mentioned; it is not used again in any grade-specific reading standards. When we focus on only a portion of a standard or decide to agree with what vendors tell us, then we lose the intention of the standard. The intention of this standard, and all of the other reading standards, is for students to comprehend what they read. Reading closely is great, but that is not the objective. Reading comprehension is the objective. The grade level standards are pretty clear about what students need to know and be able to do. At the lower grade levels, they must be able to ask and answer questions about specific details in the text. Then in sixth grade, the verb changes. In sixth grade, the students have to “cite evidence” that supports their thinking, which becomes sophisticated over time depending on the best evidence to support their thinking and evidence across multiple texts. These growing expectations can be met through close reading (as a label for textual analysis) and also through new questioning habits that focus on the details. This can be done whether we are developing “close reading” lesson plans or not. Close Reading is a lens through which we view the multiple ways in which we analyze text. Close reading is about the way we use evidence in text and the way we engage with the text when we ask and answer questions about it. Close reading is primarily about developing better comprehension habits. What do good readers do when they read? They examine. They connect. They decode. They acquire. They discover. They think. They annotate. They visualize. They comprehend. They uncover. These are the verbs. These are the skills. These are what really matters. For more about Mike Fisher’s stance on Close Reading, his new eBook, Exploring the Close Reading Standard: Ideas and Observations, is now available on Amazon Kindle ($4.99). 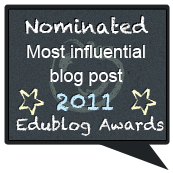 Michael Fisher is a former middle school teacher and digital learning consultant who writes frequently for MiddleWeb. 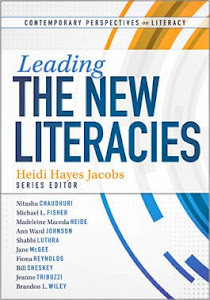 He is acontributor to the new Solution Tree series,Contemporary Perspectives on Literacy, which tackles global, media, and digital literacy. 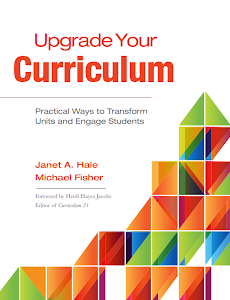 In addition to 2012’s Upgrade Your Curriculum, written with Janet Hale, Mike is the author of the 2013 ASCD/Arias book Digital Learning Strategies: How Do I Assign And Assess 21st Century Work? 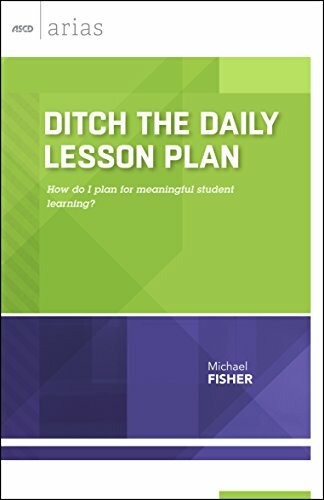 Find Mike on Twitter @fisher1000 and visit his website The Digigogy Collaborative.